blocked. Qi or life force that pushes and drives our blood circulation is hindered and we experience aching or pain. This can be from a number of causes but essentially we have a stagnation/blockage or a slowing down of both Qi and blood. Stress causes muscles to tighten which hinders blood flow and qi flow causing increased pressure on nerves. With migraines for instance we address issues to do with the stomach and liver meridians. In women, a percentage of migraines and headaches in general are related to a woman’s monthly cycle, whereby she has an excess of Yang (heat) which rises to the head in a full pounding pain. A dull lingering headache may accompany the menstrual time which is usually more often due to a deficiency of qi or blood and is associated with fatigue. Acupuncture protocols act to reduce or tonify the condition bringing about balance and relief of symptoms while also addressing the underlying root issue. For strong pain as in back, shoulder or repetitive strain injury of elbows or forearms for example, I use electrodes to stimulate points, thereby increasing the efficiency of the needling treatment. This is very successful at unblocking stuck qi and/or blood, increasing circulation, reducing pain and getting full range of movement to return. Management of pain issues with Chinese medicine and Acupuncture may consist of sessions once to twice weekly for a couple of weeks reducing to maintenance appointments once improvement progresses. Chinese herbal medicine can be combined with treatment to get faster results. 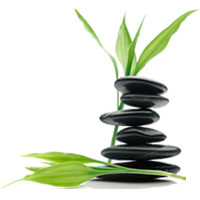 ← Period Pain… How Can A Naturopath Help?